There have been Apple Car (or iCar) rumors since at least 2007. They usually involve the company teaming up with an automaker to design an iPod- or iPhone-ready vehicle. Nothing has ever come of all the speculation and it's probably for the best. When Apple teams up with another company, the results are rarely satisfying. Remember the train wreck known as the Motorola ROKR? Now it looks like Apple is finally forging ahead with its automotive plans according to reports. But it'll do so on its own and there will reportedly be a production vehicle ready in 2019. If true, it's a bold plan. Not because launching a vehicle in that short of a time frame is impossible. It's that the electric, semi-autonomous vehicle market will be pretty crowded come 2019. But Apple should be fine with that because entering a crowded market with its own twist on a product is what it does. In 2004, DARPA held a robot-car contest in the Mojave Desert. Autonomous cars would attempt to wind their way through a 150-mile route for the chance to win $1 million. All the vehicles failed. The next year, with the purse doubled, five teams finished the route. While Stanford officially won, the real winner was Google. The director of the university's team, Sebastian Thrun went on to found Google [x] and the company's driverless-vehicle initiative. The company's research and lobbying in the field has been aggressive. Four states, a town in Idaho and Washington, DC, now allow driverless cars on the road thanks in part to Google's efforts. All that work has been laying the foundation for a world where autonomous and semi-autonomous vehicles will be commonplace on the road. Thrun left Google in 2014. But what he and his team accomplished set the groundwork for a 2020 launch of its own vehicle and paved the way for Apple and major automakers interested in getting humans out of the driver's seat. 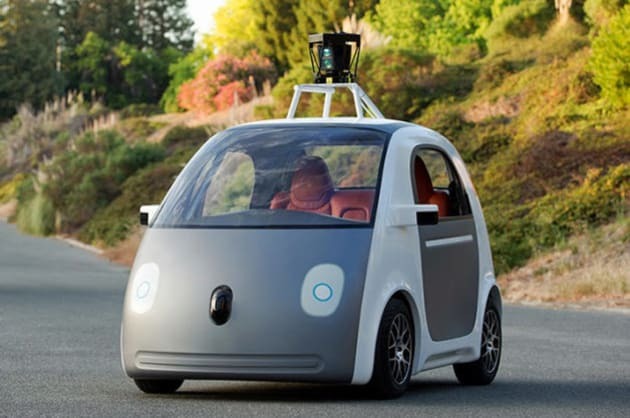 While Google is already showing off a prototype car, Apple isn't in a hurry. It's more than happy to wait in the wings and see what's learned during the testing process. This is how Apple operates. It didn't invent the MP3 player, the GUI or the smartphone. It saw what others had done and improved on it for maximum profit. Sure the company makes technology more palatable for the masses, but it does so while making a substantial profit on its products. This is why you haven't seen a 4K TV with the Apple logo on it. Television sales offer slim profit margins. There's no need to make a TV when a set-top box that points users to your digital rentals will suffice. In the mobile world, Android dominates the market. But, Apple still makes huge waves when it launches new iPhones. The company sold 13 million new iPhone 6s and 6s Plus handsets during the first three days of availability. The only handset maker that's even remotely close to having Apple's mindshare is Samsung. If Apple can get a tiny fraction of those people to buy its new vehicle, it'll be doing pretty well. It doesn't need to beat Toyota, Ford or Honda in car sales; it just needs to make a profit. Yes, a car is far more expensive than a phone or a computer, but that Apple brand could be enough to get folks to buy a car from a tech company. It's something that's actually already happening. Tesla started as a Silicon Valley car company, but it's currently more than that. Incorporated in 2003, it introduced its Roadster prototype in 2006. Since then it's become a technology that just happens to sell cars and giant batteries for your home. It's even building a battery factory in Nevada to produce the packs needed for those vehicles at large scale. It makes the whole widget -- something Steve Jobs was fond of saying about Apple. But while Tesla is diversifying, its first mission was cars. The Apple car, on the other hand, will be a side business. New ventures are expensive and even if the company hires all the car engineers it can find, there's always the chance the iCar (or Apple Car or whatever it's called) will be a flop. While Silicon Valley moves quickly, Apple tends to wait and see before it goes full bore so it doesn't end up with another Newton on its hands. The robot-driving future is uncertain. But what is certain is that if Apple participates, for better or worse, there will be people lining up to be the first to drive the car that starts when the drivers says, "Hey Siri!"